Love is the most fascinating thing that could happen in people’s lives. When you are in love, you can do incredible things and love does conquer all. Every one of us wants to be loved completely without any conditions and boundaries. But love is both feeling and action. If you feel love, then you are compelled to return the affection. It’s a very beautiful cycle. It is very important that you let your partner know how precious your love is. 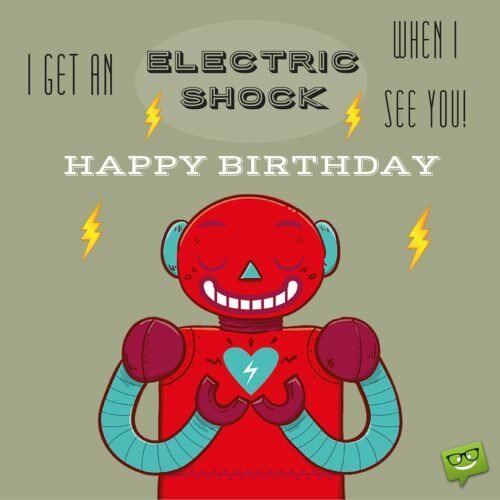 Birthdays are the perfect opportunity to send them some heart-tingling lines. 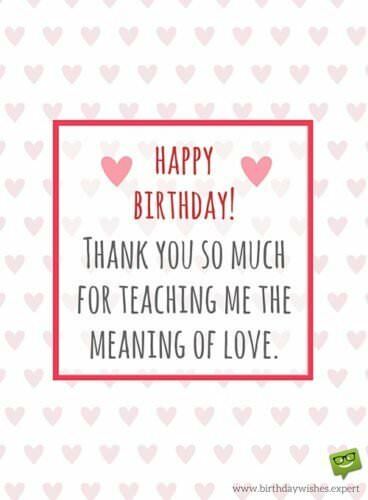 Here are some birthday wishes to help you express your love to your partner. 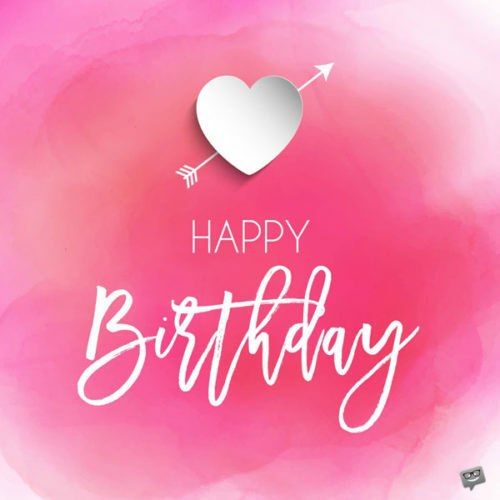 If you’re looking for unique romantic images for Facebook, click here, and if you’re interested in Pinterest-oriented birthday images filled with love, visit this. “But the heart’s not like a box that gets filled up. It expands in size the more you love.” —Samantha, Her. My heart keeps expanding every single day that I’m with you. Happy Birthday! Let’s celebrate your birthday and our love with a day we won’t forget. Happy Birthday, Sweetheart! Happy birthday, my love! Thank you so much for teaching me the meaning of love. We may be apart today, but our love will bring us closer together. Happy Birthday! It brings a smile on my face by simply thinking of you. And that smile becomes brighter whenever I’m with you. 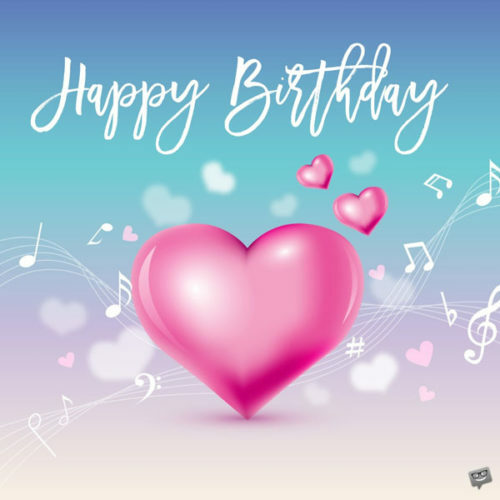 Have a wonderful birthday, my love! Just a glimpse of you brings a smile on my face and being with you gives me eternal happiness. Today is your special day and I’m giving you everything in me. Happy Birthday! It’s your birthday! It’s your time to make a wish. Mine was already granted when I met you. Happy Birthday, my dear! Thank you so much for showing me the true meaning of love. Thank you for all the wonderful things you have given me. I love you and Happy Birthday! Happy birthday to my first, my last, my everything. I was waiting for someone like you in my life. Happy Birthday! All the papers in the world are not enough to write our journey, but it can be edited to contain only a single word: “LOVE”. Happy Birthday! Time will pass, more birthdays will come, but every single day that I spend with you is special. Happy Birthday and I love you. You are the light in the darkness, the spark of hope and truly the meaning of my life. Happy Birthday, my dearest! You never fail in showing your love. Happy birthday and God bless. Sins can be forgiven, but I can’t forgive myself if I don’t tell you how much I love you. Enjoy your special day. To my sweetest boyfriend ever, I wish you a fruitful and wonderful year. You might not be the perfect husband in the world, but you fit perfectly in my heart. Happy Birthday! Happy Birthday to the most handsome husband in the world! The moment I started walking in that aisle, I realized that every single step will be very special since I will be walking to forever with you. Happy Birthday! It’s nice to celebrate a special moment with a special guy like you. Happy Birthday! I am so blessed to have you as my husband. I am proud to say that we’re happily married. Happy Birthday, my love! I will never regret spending a lifetime of the most wonderful adventures with you, my Love. Happy Birthday! Happy birthday to my handsome lover, the one who gives me butterflies everyday. 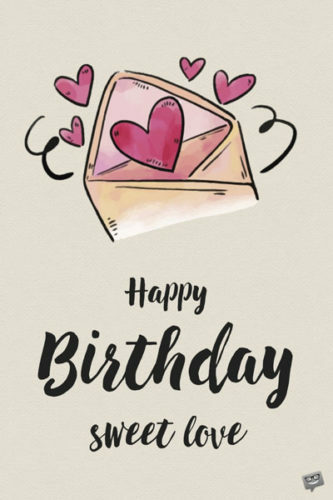 Here’s wishing you the best day possible! When I look into your eyes, I see a bright future full of love and laughter. With you in my life, there is only joy. Today, I celebrate your life and bestow upon you all of the love I have to give. Happy birthday! Here’s to you, my best friend and lover. Day after day, you have shown me what a blessing you are and how thankful for you I am. Your presence adds much beauty to my life. Happy birthday, my love! Another year older means another year better, stronger, and wiser. Thank you for bringing me along with you in this journey called life. Happy birthday!Happy birthday to my football playing, tool-loving, master-barbecuing man. You are loved! “It’s a bird! It’s a plane! It’s…you!” Happy birthday to my very own superhero. Wishing you a day free of villains and crises and filled with the best the world has to give. On this day, I want you to know that you mean the world to me and I am so honored to be loved by you. You are one amazing man. Happy birthday! It’s too bad everyday isn’t your birthday. I could spend eternity celebrating you. Happy birthday! The thing about today is that it is extra special. It is not simply an average birthday. It’s YOUR birthday and you, good sir, are worth celebrating. Happy birthday to the one I love! Happy birthday, love. Thank you for teaching me the meaning of love. I do a lot of crazy things in my life. Thankfully, one of them was falling in love with you. Happy Birthday, Sweetie! Happy birthday to the only person that’s perfectly capable of loving all my imperfections. I love you. Even in the coldest of nights, I can feel the warmth of your love. Happy Birthday, my lovely wife! Even though we are not together, always remember that you are always in my heart. Happy Birthday Sweetie! To my lovely wife, I wish you all the best in life. Sometimes, all I really want is to lie down in silence with my head rested on your chest and just listen to your heart. Happy birthday to the loveliest woman in the world! Being your husband is the easiest job in the world. Happy Birthday! All the sweetest cakes in the world are not enough to match sweetness of your smile. Happy Birthday! Today is your special day. I’m pretty sure you will receive lots of gifts, but those gifts are not enough compared to the gift that you’ve given me: the gift of true love. Happy birthday, my lovely wife! I’m still blown away by how beautiful you are every time I look at you. Happy birthday, my lovely wife! You may be older but you are still the same gorgeous girl I met. Happy Birthday, Sweetie! I wish you all the love and fulfillment in life. Happy Birthday, my lovely girlfriend! Birthdays are not forever, but my love for you is. Happy birthday, my beloved wife! Happy birthday to the most sincere, adorable, and beautiful woman in the entire world. I am so proud to call you mine today and always. I did not know God could answer prayer so perfectly until he brought us together. You are everything good and positive about my world. 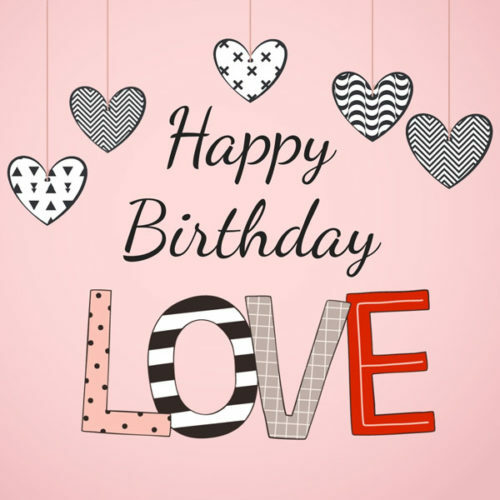 Happy birthday, sweet love! Darling, you are the beacon in my nights and the rose among my thorns. Without you, I would not be the man I am today. Happy birthday to my one true love! I wanted to find you the ideal present, wrap it, and give it to you at just the right time. When material things failed to express how I feel, I decided to give directly from my heart. There is no wrapping needed and it is something I can give you over and over again. My gift is these three words: I love you. It may be early in our relationship, but love knows no bounds. Happy birthday, sweetheart! I may not say it often, but I appreciate you. You bring beauty to my gloomy days and warmth to my heart. Here’s wishing you the perfect day to celebrate you. Happy birthday, my lady! Spending my days with you is what I imagine heaven to be like, full of joy and love, wrapped in the warmth of those we love. Happy birthday, sweet angel! May today bring you blessings galore. Happy birthday to the one for whom I prayed. May your day be filled with the joy you deserve and the blessings you have earned. On this beautiful day, let us celebrate the wonder of you and the happiness of your birthday. Happy birthday, my love! My favorite moments in life are when I am given an unexpected blessing. You are the best blessing I have had by far. Happy birthday! I know it is early in our relationship, but I want to give your birthday present to you early by telling you how much I love you. You are special to me. Happy birthday! Here’s to you, sweet love. 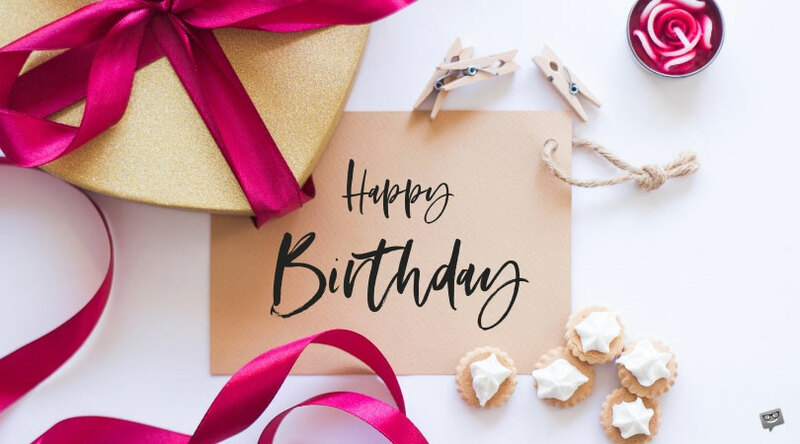 May you have the happiest of birthdays today! Happy birthday to the one who adds so much warmth and love to my days. My life is anewed because of you. Today, I am going to do all that I can to show you how much you mean to me and how thrilled I am to have you in my life. Let’s do this right. Happy birthday! From the moment I met you, I have wanted to celebrate life’s big moments together, especially birthdays. You may be another year older, but that also means another year together. Happy birthday, my love! I want nothing more than to share in the joy of your birthday today. 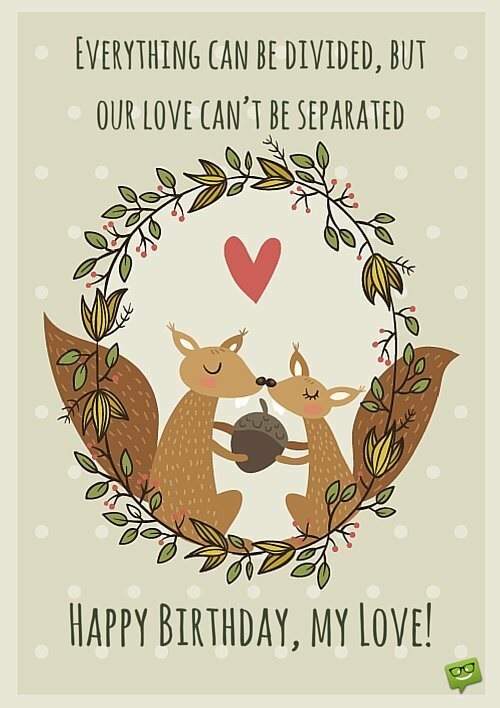 Here’s wishing you a fun-filled and romantic day. Happy birthday! A special day like this comes along only once per year. It is a day worth celebrating. Happy birthday, sweetheart! Tonight, as I close my eyes, I can think of nothing more than tomorrow celebrating the amazing person of you. I thank God each day for your presence in my life and wish nothing but the best for us. Happy birthday to the one who brings me peace! Birthday wishes to my favorite person in the entire world! May you always feel my love and enjoy our sweet times together. No matter how many years are added to your age, you are still number one to me. Happy birthday, sweetheart! The Chicago Cubs may have finally won the World Series, but you have won my heart. Here’s to you, my love, on this day and always. Happy Birthday! The story of us started not too long ago. Yet, here we are celebrating your life together. Happy birthday to my special someone! Happy birthday to the one who holds my heart and dreams. I am wishing you the most blessed of years this next year. I love you! On this very special day, I want you to know how much you are loved, not just by me but by everyone who knows you. 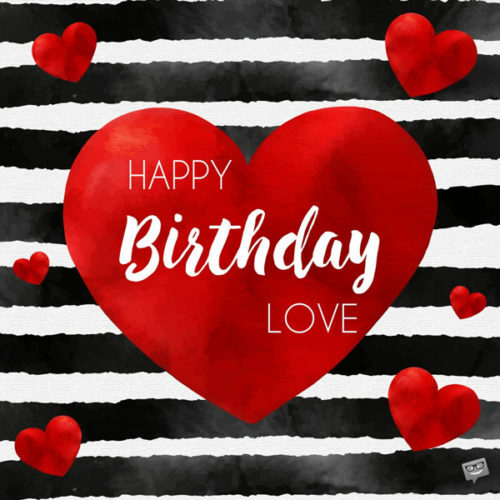 Happy birthday, sweet love! Here’s to you, the culmination of all of my hopes and dreams. May today be a day filled with joy, blessings, and peace. Happy birthday, dear one! Today is yet another chance to celebrate the awesome uniqueness that is you. You are sweet, kind, and vibrant in every way. Thank you for the person you are for me. Happy birthday, my love! 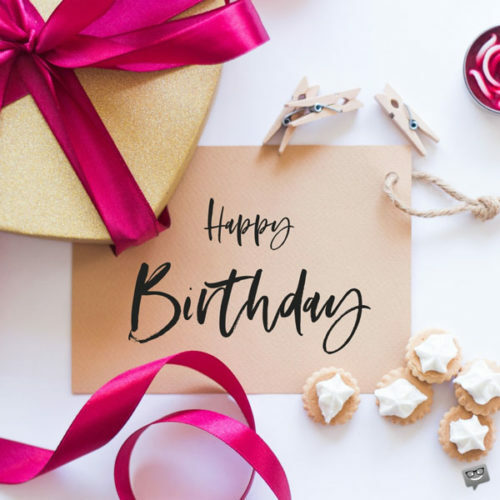 Cute Birthday Images for your Lover! Sweet Words They’d Like to Hear | Happy Birthday, Baby! 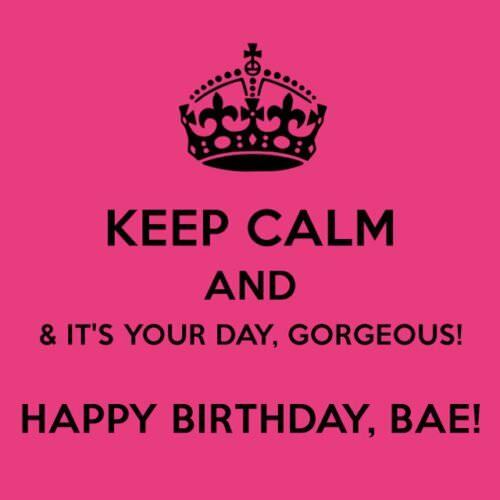 My Love’s Before Anyone Else : Happy Birthday, Bae!